Learn to use industry-standard equipment to create and produce your own music. 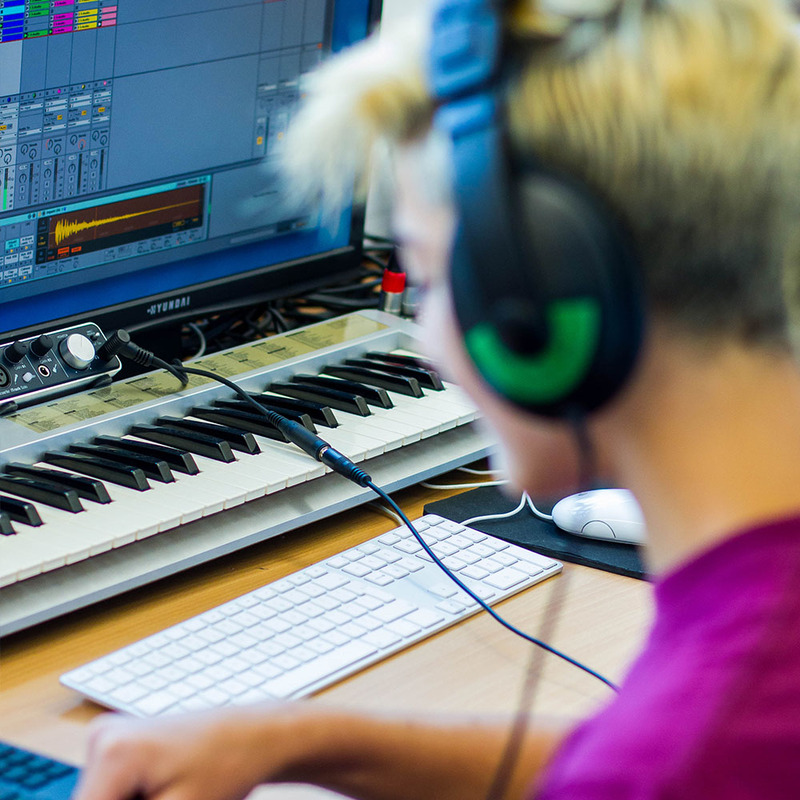 The Rhythm Studio's part-time Music Production & Business courses are a practical and career relevant alternative to traditional music GCSE and A-Level. 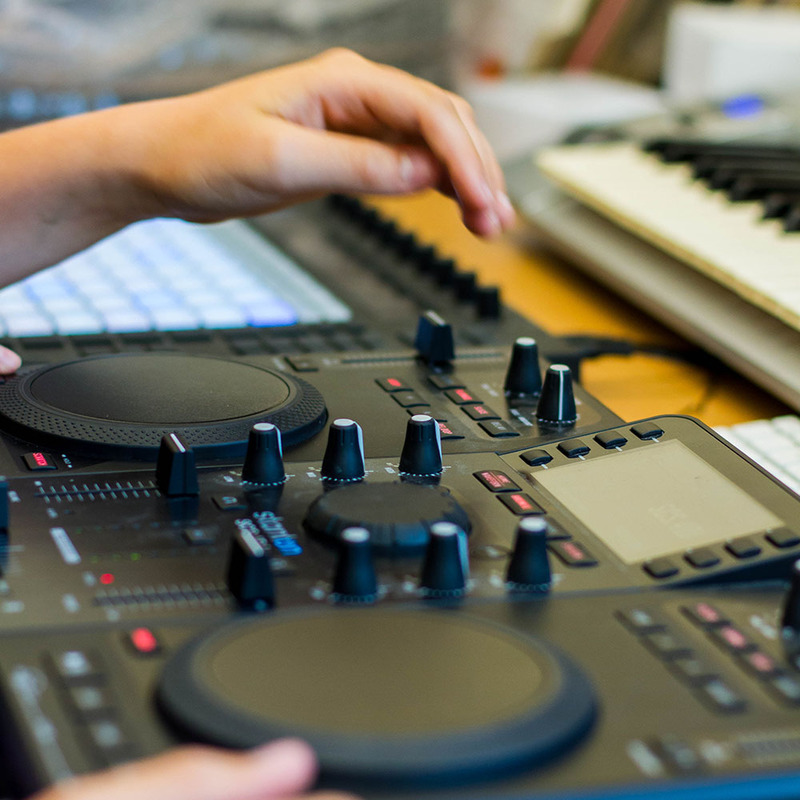 Students learn to use industry-standard equipment to create and produce their own music while exploring the modern-day music industry landscape. The course involves the successful completion of two units, Music Sequencing & Production and Organising A Music Event. 14-18 year-olds with prior music experience who are interested in producing tracks and live music events. Applicants should have some music production experience using Garageband or Logic Pro X. The course involves a 2.5 hour class each week over the course of three terms, as well as the production of a full-day music event during the later stages of the course. What is a Level 2 Certificate? A Level 2 Certificate is a nationally recognised GCSE equivalent qualification. The course involves the successful completion of one unit in Music Sequencing & Production. 16-18 year-olds who are competent with Ableton Live, Logic Pro X, FL Studio or Cubase. Playing an instrument or having a music qualification, such as GCSE music, is not essential but would be advantageous. The course involves a 2 hour class each week over the course of three terms. Students are also encouraged to attend guest lectures and studio sessions throughout the year. What is a Level 3 Certificate? A Level 3 Certificate is a nationally recognised A-Level equivalent qualification.